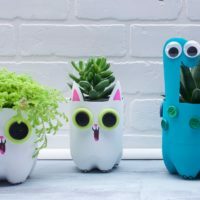 Recycling isn’t only good for our planet but it also leads to a great resource of craft materials. Take paper rolls, for instance. 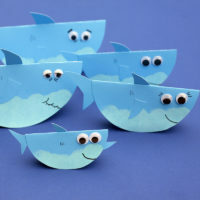 With a little imagination, they can be turned into anything, from binoculars and animals to cars and trains. Today we’re using one to create our friend Finley. Start by painting your paper roll ivory. You can replace the ivory paint with a light brown tint that kids can make themselves by mixing a bit of brown paint with white paint. This is a fascinating experiment for little ones as well as a lesson on mixing colors. Kids may have tried before mixing primary colors and now you get the opportunity to show them what happens when you add white to any colors. This will keep them busy and entertained while waiting for the paint on the paper roll to dry completely. 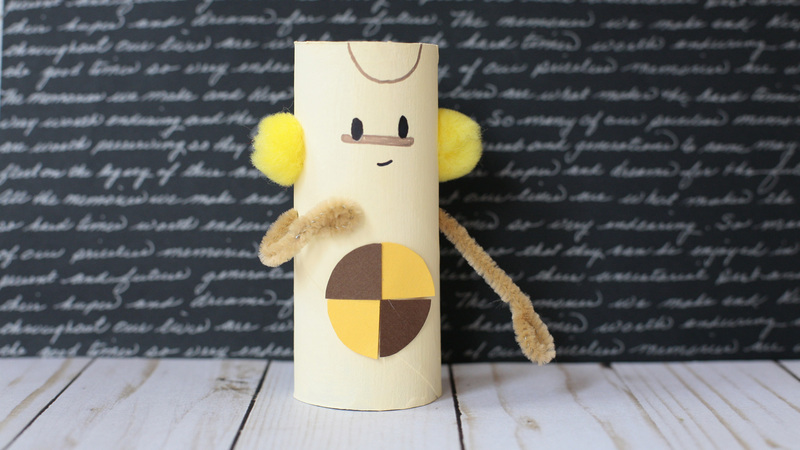 Glue two yellow pom poms at the top of the paper roll, one on each side and use the black and brown markers to draw Finley’s face. 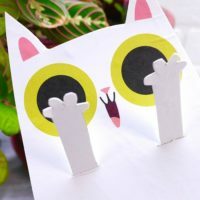 Draw a circle on yellow cardstock paper and another circle on brown cardstock paper and cut them out. Draw a cross in the middle of each circle and cut both circles into quarters. 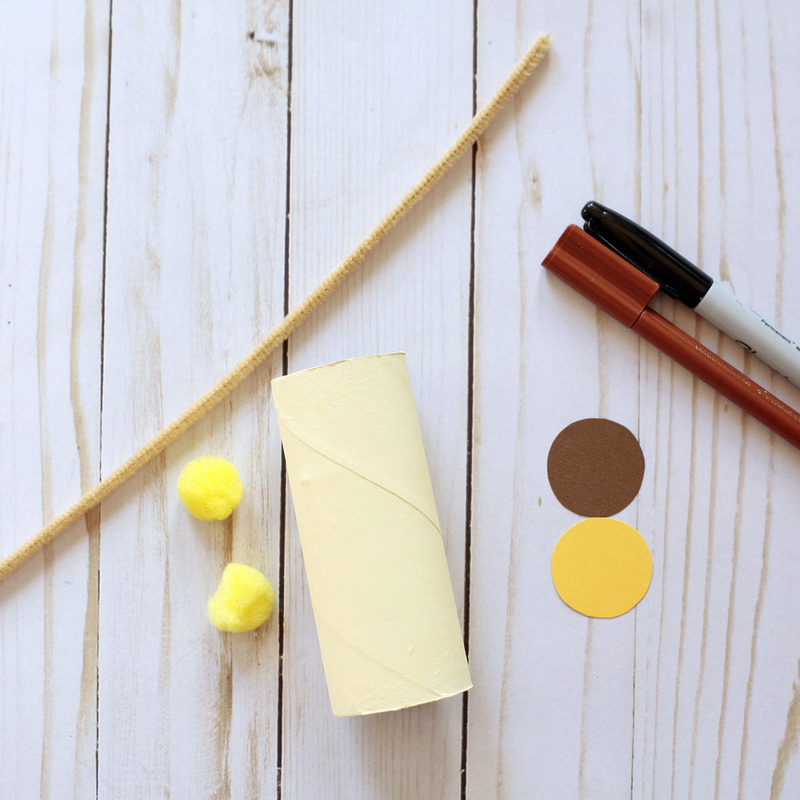 Recreate a circle by alternating the colors and glue it to the middle of the paper roll. The last step is to poke two little holes about half an inch underneath each pom pom. Thread the pipe cleaner through these holes and cut it at the desired length. Kids will have so much fun moving around Finley’s arms. After You’ve Created Your Very Own Finley – Catch Up With Him in the Factory!